Jual Florence 850 Oak and Black Stand for TVs up to 37"
This luxurious Curved TV stand is finished in a sumptuous real wood oak veneer and toughened black safety glass. 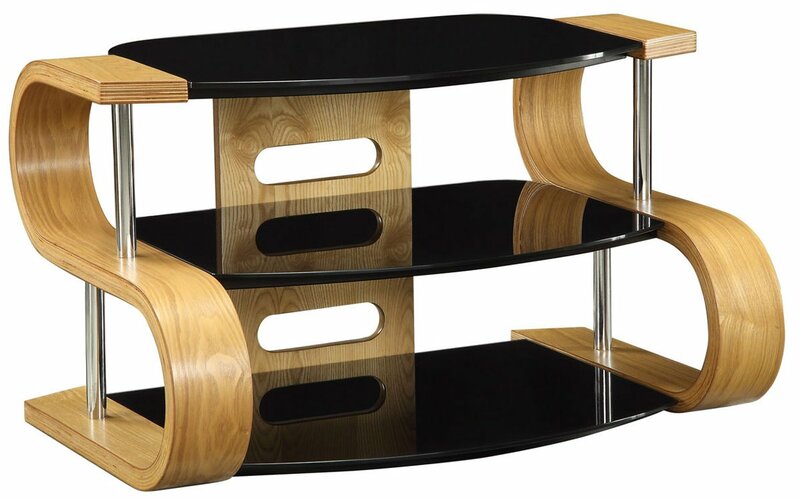 The striking curved design mixes pure class with contemporary to give it that unique edge over other AV supports. 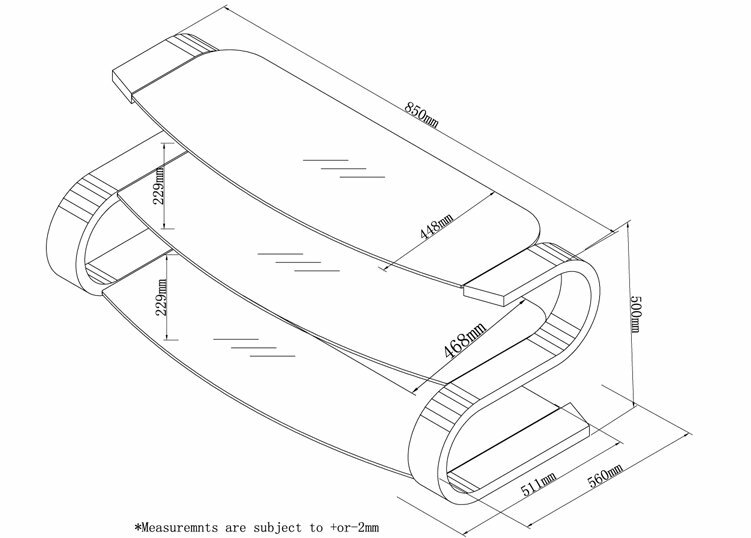 As with all Jual products the Curve range features toughened safety glass shelving as standard and an integrated cable management system to hide unsightly cables. The open design is extremely practical too, giving ample space to accomodate a variety of AV equipment. The total width of the top tier (including wood edges) is 85cms (33.5 inches). My 65 inch TV is wall mounted.